Deposit A non refundable deposit as advertised is required when booking Cancellations The balance becomes due 3 weeks before the date of occupation. 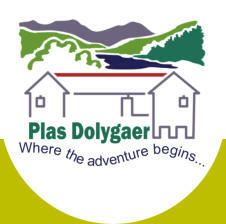 Plas Dolygaer Mountain Centre reserves the right to cancel bookings if the balance is not paid within this time frame. On receipt of full payment we will send further information regarding your stay. Cancellation by Plas Dolygaer Mountain Centre Plas Dolygaer Mountain Centre may, only in exceptional circumstances, cancel the booking at any time without notice. Any such cancellation will be made in writing and sent to the person named on the booking form. If the facility is already being used any refund due will be calculated on a pro rata basis. If use of the property has not commenced a full refund (including deposit) will be made. VAT Plas Dolygaer Mountain Centre is not registered for VAT, all prices are inclusive Arrival & Departure Times Bookings are taken on a weekly, weekend (minimum 2 nights), mid-week, overnight or day bookings: Weekly bookings normally start after 2pm on a Saturday and end before Midday on the following Saturday. Mid-week bookings normally start after 2pm on Arrival date and end before Midday on the end date. Weekend bookings normally start after 4pm on a Friday and end before 4pm on the Sunday. Overnight bookings normally start after 6pm on Arrival and end before l0am on the following day. Day bookings normally start after 9am and end before 5pm on the same day. Use of bedrooms is not included. Subject to availability, earlier arrival and later departure days/times can be arranged. Departing later than the published time, unless pre-arranged, will attract a further charge. The charge will be based on the appropriate overnight rate. Problems Please inform the Duty Manager of any problems, faults or damages. Plas Dolygaer Mountain Centre reserves the right to charge for any damages. Cleaning On arrival your accommodation should be in a clean and tidy condition, if you are not satisfied with the state of cleanliness you should inform the duty manager immediately. (Details displayed near telephone). On departure you should leave your accommodation in a clean and tidy condition. Failure to leave the property clean may attract a cleaning fee of a minimum £25. Camping Field If the camping field is in use indoor residents will have access to and from the mountains across it. Please respect those camping. Camping Associated with Indoor Accommodation Persons who are accommodated on the campsite and also have use of indoor accommodation are treated as resident in the indoor accommodation and the appropriate fee associated with indoor accommodation is payable. When the number of persons exceeds the maximum number of beds associated with the indoor accommodation then, those persons in excess of the maximum number of beds, the fee is reduced to the appropriate camping fee. Staff Access Staff may require access to the property at any time during your stay CAMPERS Please leave the camping field tidy Fires should be it on the concrete fire places provided unless Altar fires are being used. Groups using indoor accommodation will have a right of way across the camping field for access to and from the mountains. Toilets/Showers These facilities are available for all campers and may be shared with groups using part of the indoor accommodation. On arrival these facilities should be in a clean and tidy condition, if you are not satisfied with the state of cleanliness you should inform the duty manager immediately. (Details displayed near telephone). On departure you should leave them in a clean and tidy condition. Failure to leave the property clean may attract a cleaning fee of a minimum £25. Camping bookings normally start after 2pm on the start date and end before 12 midday on the end date.